Should I Pay For Movers Or Do It Myself? Should I Pay For Movers Or Do It Myself? Should I pay for movers or do it myself? Is it cheaper to move myself? So I am in the process of moving and a moving company just quoted me $185 an hour for a 24 foot truck and 4 guys (these are New York rates so depending on where you live it could be significantly cheaper). I do have a family so I need the big truck. The problem is that this would cost me at least $900 and probably significantly more. I just had to put down a few thousand for a security deposit and am pretty much tapped out. So I went online and found U-Haul and just reserved a 24 foot truck for $39.00 a day plus 79 cents a mile. I am not moving too far so the mileage will not be an issue. This did not include insurance which was another $15.00. While I hate paying for this I probably will when I pick the truck up. They tried to sell me everything from supplies, to equipment, to moving guys but I just bypassed it and it come to $39.00 plus 79 cents a mile. So I definitely need some help and figured I would go to a spot in my town where guys hang out looking for daily work. I can get these guys for 10-15 dollars an hour. So if I hire 4 guys and use them for four hours my total cost will only be around $200 dollars. So I am looking at a total cost of around $250. It always costs more than you expect but at $350 that is a pretty big savings. Now, I will have to be lifting myself but I can certainly use the exercise. I have also been collecting boxes for the last few months and if you are quick you can find people on Craigslist that have just moved and will give you all of their boxes for free. 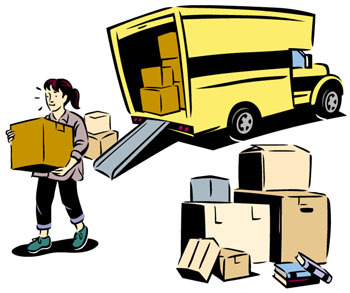 It can get pretty expensive if you have to buy boxes from one of these moving services. I am waiting for the day when I have the money to have the moving company come in and pack my belonging and move everything and I do not have to do anything. Unfortunately, that is not today. I will provide an update after I move letting you know exactly what it cost and any problems or issue you should be aware of.